Philadelphia might hold the title of the fifth largest city in the United States, but it’s an intimate city despite its size.Most of its biggest draws, from The Liberty Bell to the Philadelphia Museum of Art (home to the Rocky steps), to the Italian Market, can be explored on foot. There are world-class art collections at the Philadelphia Museum of Art and at the Barnes, rare books at The Rosenbach in Rittenhouse, sequined revelry at the Mummers Museum, and an inside look into the macabre world of medicine at The Mütter. 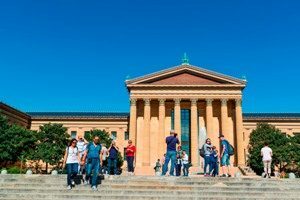 Below are the 11 best museums in Philadelphia, a must visit. The Franklin Institute might be Philadelphia’s best-known science museum, but the Science History Institute (formerly the Chemical Heritage Foundation) is an insider-favorite. The museum pays homage to the actual practice of science and its life-changing discoveries. Despite its small size, it completely delivers with a fascinating collection of items, all of which serve to elucidate the mysteries of everyday life—how crayons get their colors or how plastics are made. As symbolic as cheesesteaks and pretzels, the mummers are a Philadelphia institution. These costumed performers celebrate in all their finery just once a year on New Year’s Day, with the first official, city-sponsored parade taking place in 1901. Established in 1976, the Mummers Museum chronicles the history, meaning, and most of all, the costumes, of this annual folk festival. Visitors can take an up-close look at the costumes, where one can learn the difference between a ‘fancy’ and a ‘comic’ while poking around, but the best bit comes at the end, where you can deck yourself out mummer-style with one of the many bejeweled costumes on the rack, and attempt the performers’ signature strut. 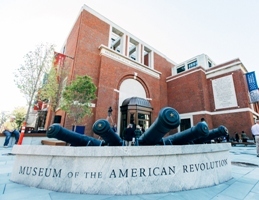 historic buildings, including Carpenters Hall, the meeting site of the first Continental Congress, then make your way to the Benjamin Franklin Museum for a look at the historical figure’s many accomplishments. The Mütter Museum, housed within a portion of The College of Physicians of Philadelphia, can trace its origins back to 1858, when Dr. Thomas Mütter donated his collection of medical models and specimens in an effort to honor medicine’s heritage and celebrate its advancements. The museum’s 25,000-item collection, spread between two floors, includes everything from medical instruments and wax models, to bones and anatomical, or “wet,” specimens, all ranging from the fascinating, to the disturbing, to the downright disgusting. The Museum is home to a comprehensive 225,000-work-strong collection of everything from a Japanese teahouse and Chinese palace hall to Renaissance masterpieces, plus works by Manet, Monet, and Degas. Van Gogh’s famed Sunflowers is on display here, as is Cézanne’s The Large Bathers.